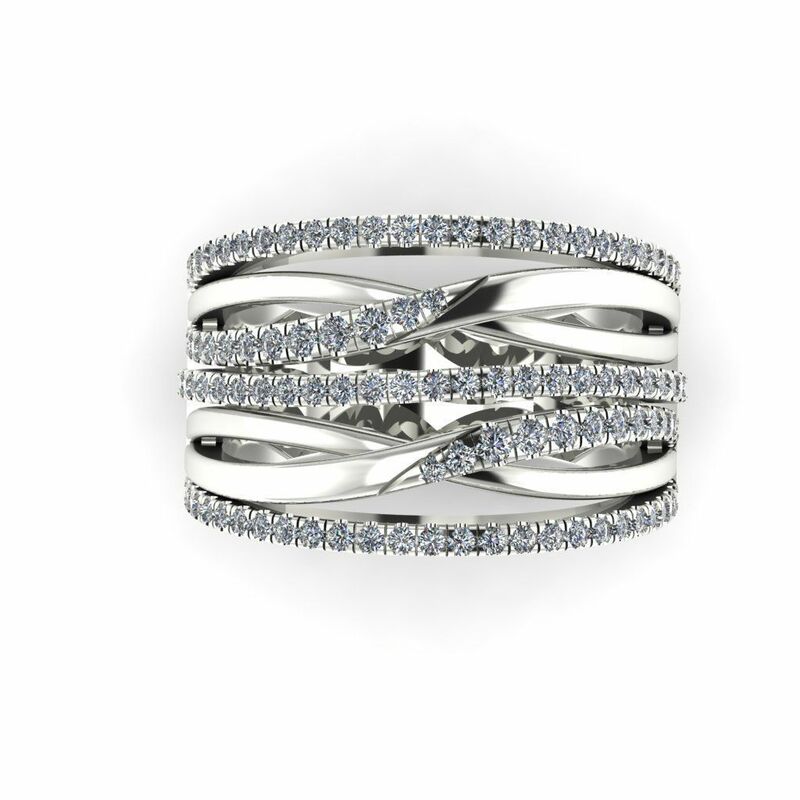 This Diamond Crossover Ring is a stunning mesh of 7 separate bands that elegantly crossover each other, some of which are accented with 1.3mm, french pave set diamonds. This Diamond Crossover Ring was created as a cocktail ring to be worn on the right hand, but it would also work as a mother’s ring using birthstones as well. ACCENTS: As shown, around 1 carat. CZ, Diamond, Moissanite, or precious gem could be used. 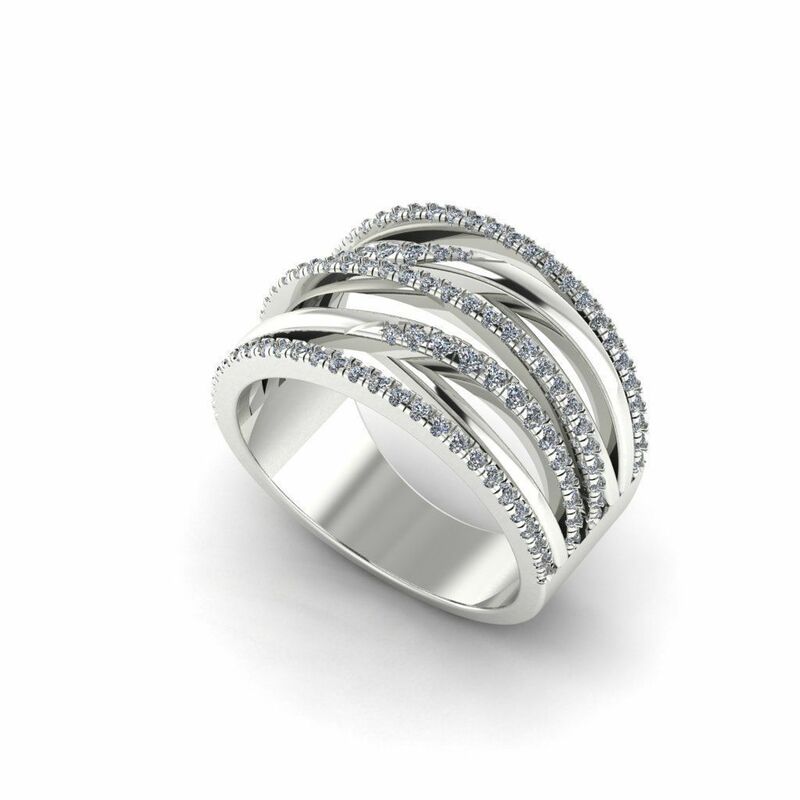 Click HERE to see another Diamond Crossover Ring or contact us with your own idea. It is easier than you think to have your own custom ring made just for you and can also cost less than at the mall stores.